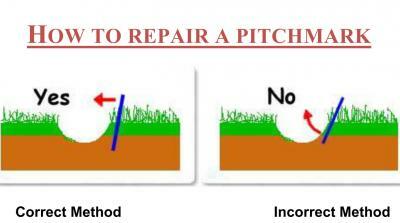 Use a ballmark repair tool, available from the pro shop, whenever possible. Do NOT insert the tool under the indented area and push up - a common mistake. Think of it as pushing turf in from the edges toward the centre.